Super Textile received a delegation of 131 members of Taiwan plastic Association on 23th Dec. 2010. We shared our efforts on the environment protection, especially on the plastic, i.e. the textile products made out of the recycled plastic bottles, the bottle tops made into the pallets. 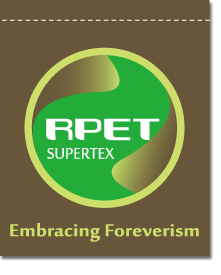 We hope that through this visit, there will be more plastics industries learn the effort Super Textile has done, so that we will arouse more plastics industries to devote themselves in the pet recycling. Once there are more people work on the recycling jobs, the so called of eternally non-corrupted plastic products would not be junk on the ground, it can be turned into reusable City Mine.